← Spinning up a storm. And some more newspaper. 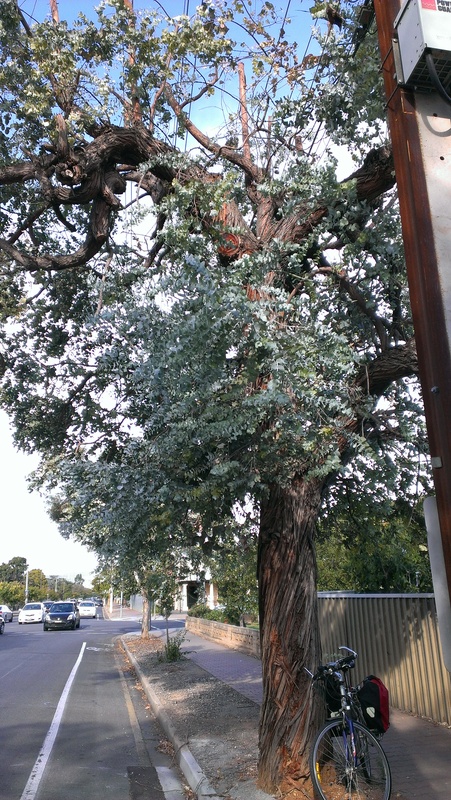 On my bike ride home from work (about a 40 minute ride), I pass just one Eucalyptus Cinerea. Well, there are two, but one is inside someone’s front garden. A person has to have some boundaries! 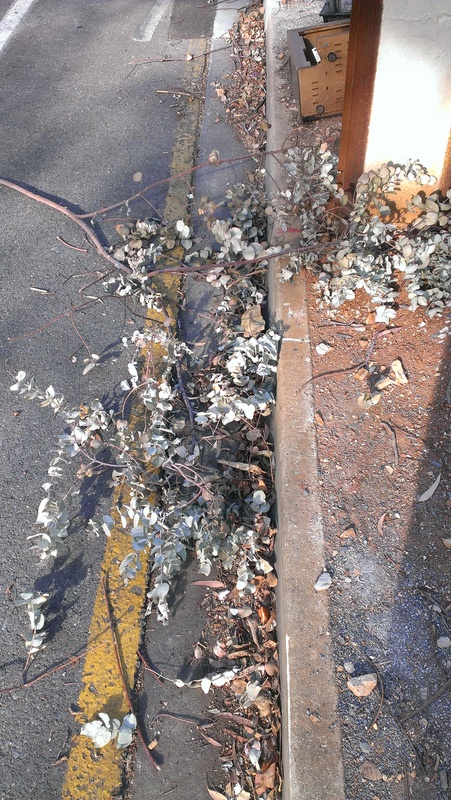 The street tree had dropped a small branch. I decided I’d better collect it. Usually I carry a calico bag in my bike pannier for such contingencies, but this was what I found when I scrabbled about in the bottom of my pannier on the day, so in went all the stray leaves I could find. This tree has had to contend with a lot. It has had a very strange pruning job designed to protect the electrical wires that now pass through its branches. The pruning took out a lot of the canopy, but the tree is still standing. For this, I am grateful. Recent events have caused me to reflect on the way I think about trees on my regular routes… like old acquaintances. I think about them as I pass, the way I think of people when I pass near their homes without visiting. I notice what happens to them. I check them over when I have the chance. I remember how they were when they were younger, or before that accident befell them. It’s not entirely unlike the way I notice people I don’t know well, but see out and about in the neighbourhood regularly. 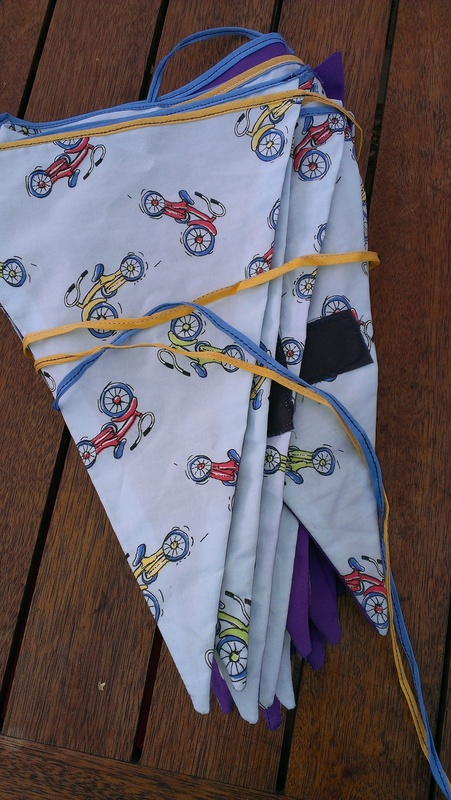 Further along, I saw that my “thanks for cycling” bunting had been ripped and some of it was lying on the ground. 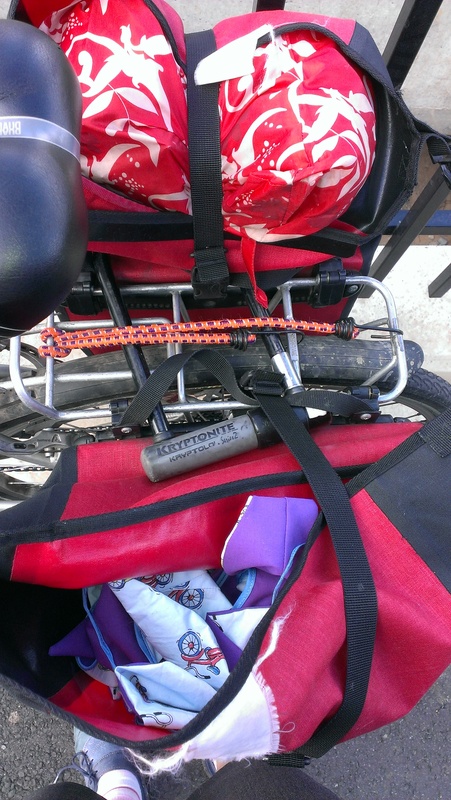 Soon it was in my other pannier headed for the mending pile. 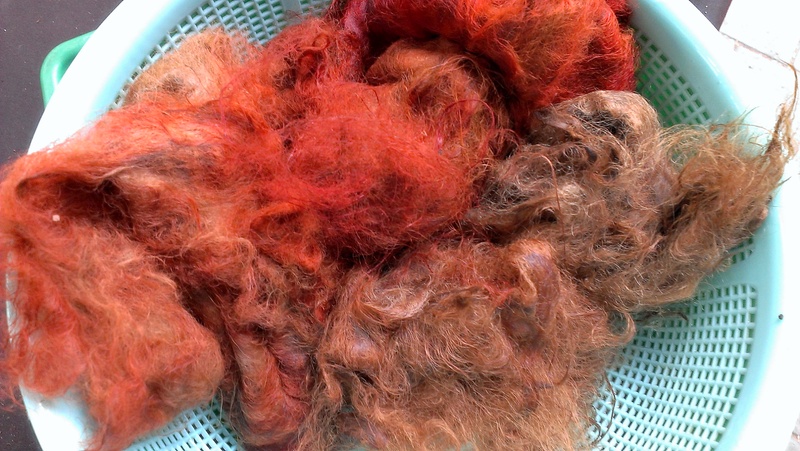 A few days later, the E Cinerea made it into the dye pot and produced its usual dependable flamelike orange. 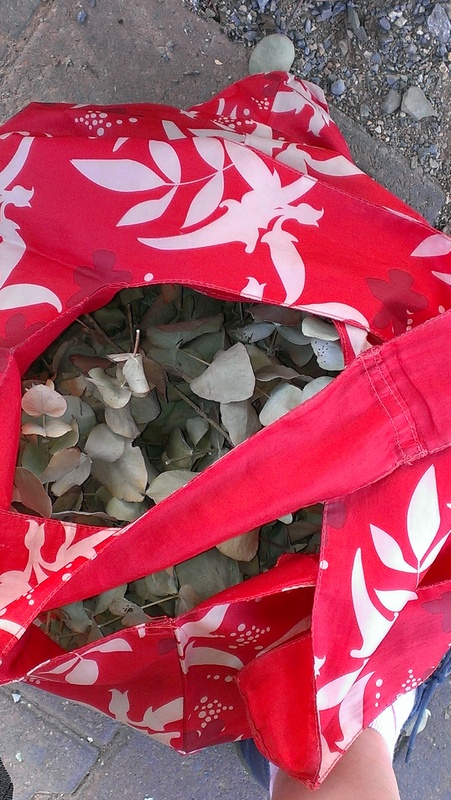 I also collected some ironbark leaves that had fallen in the parklands near where we had exercise class. Once the E Cinerea was all but exhausted I reused that dyebath with the ironbark leaves, thinking I would save water and energy, but clearly this was not E Sideroxylon–it produced that sad, damp little pile of fawn alpaca on the right. I have come to regard this as a sign: The orange leaves in the picture below are the E Cinerea leaves, which have gone from silver-grey-green to orange in the dyebath. 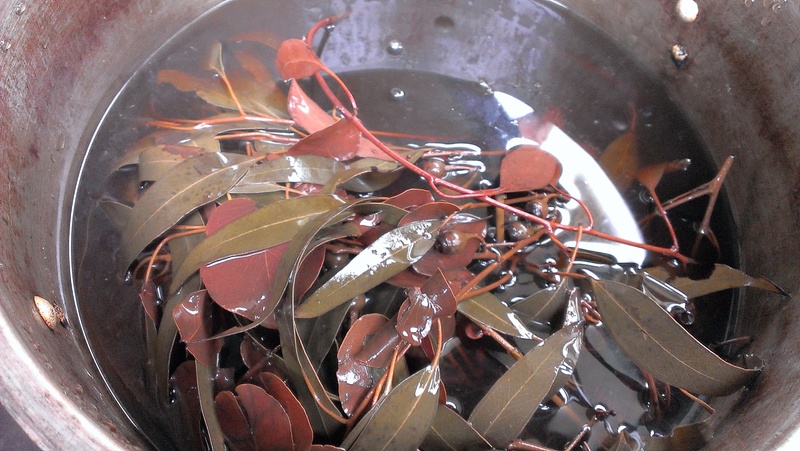 The ironbark leaves, on the other hand, have remained a robustly green shade even after cooking.